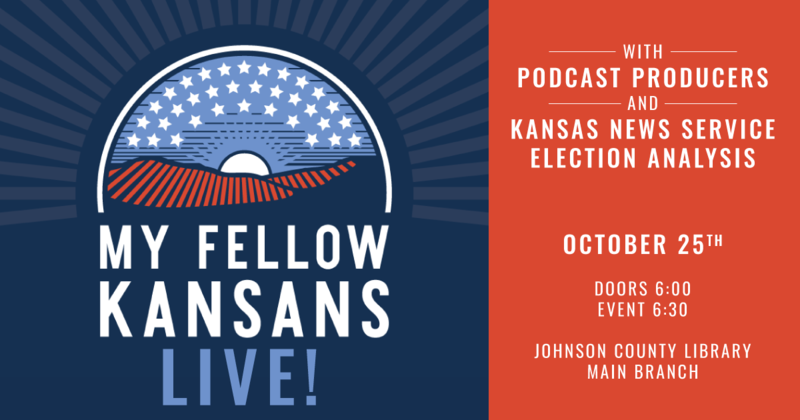 My Fellow Kansans is coming to Johnson County Library on Oct. 25 for a live event, featuring podcast host Jim McLean and political scientist Beth Vonnahme. We'll discuss the current state of Kansas politics and learn how Kansas voters are feeling ahead of the upcoming midterm elections. You'll have a chance to ask questions and hear more about the making of our podcast, too. Join us for this special live event on Oct. 25 at 6:30 p.m. at the Johnson County Library Central Branch in Overland Park, Kansas. You can learn more and RSVP at kcur.org/kansans.